Fishing, you love it or you hate it. We think it’s time you gave the ol’ ‘dad sport’ another chance. You might just realise you don’t hate sitting by Sydney’s harbour while having a few drinks after all. We won’t say it, but we told you so. Quit playing around and get yourself to the best fishing spots in and around Sydney. Head down to the shire for this fishing hotspot. Gunnamatta Bay is known for fishing off and around the nets surrounding its baths, which provide tons of food for the little fishies (convenient, we know). Hot tip: cast off the western side of the baths for the best chance getting a bite. Sit across from the Opera House and cast your line into Sydney Harbour. While this spot can be more difficult to catch a bite due to fast currents, it’s well worth it for the views. Yellowtail larger than your average can be found here, and again, you’re best going after the last ferry for the best chances of snagging a big one. 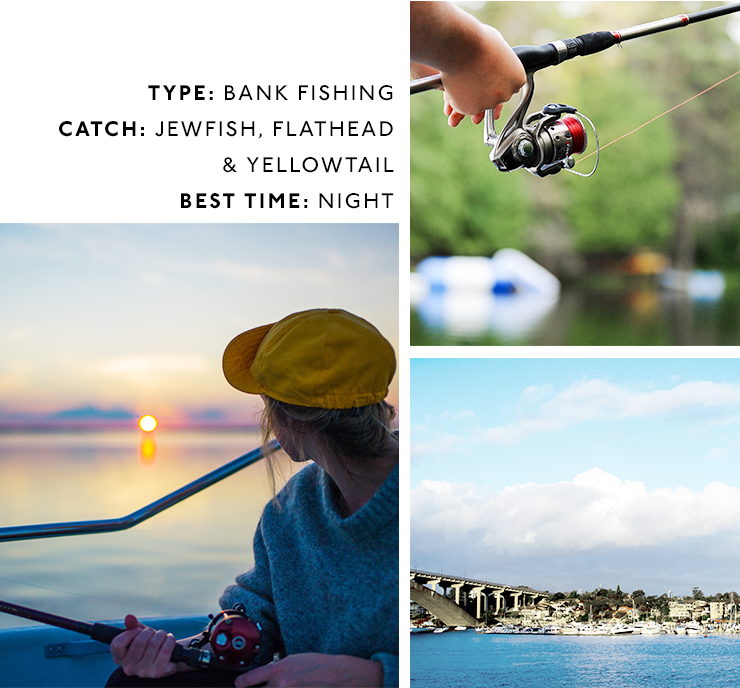 This popular spot known for its high population of the hard to catch jewfish, is the perfect place to head down for a night time fishing session. Go after 9pm, when the last ferry has passed through, for the best chances of catching a line. Your best bet over at Tom Ugly’s Bridge is to set up over on the northern side and park right up next to where you’re going to cast from. Bait with a few bloodworms and head here during the run-out tides for your best chance of catching a few bream. One of the most picturesque spots in Sydney to fish has to be Clifton Gardens. The huge public pool attracts hordes of beachgoers so our advice is to head out on the jetty and past the pool in the early morning, then cast off into the deep waters. Another option is to set up along the parklands, eski by your side (obvs). The calm waves at this beach making it relatively quiet, so it’s the perfect place for a spot of fishing. Bring your swimmers for a dip when it gets a bit too warm, then sit back and cast away. You’re almost guaranteed a bite every time at this hotspot. Sitting right at the meeting point of the Parramatta and Land Cover Rivers is Clarkes Point Reserve, where you will find the best of both worlds. For the run-out tide, cast off the eastern side of the peninsula, and for the run-in tide set yourself up over on the southern facing side. The reserve has great BBQ facilities so why not bring the fam along for a picnic? Potentially the most stunning place to cast a line in Sydney, Blues Point Reserve has unbeatable views of the Harbour Bridge and the Opera House. 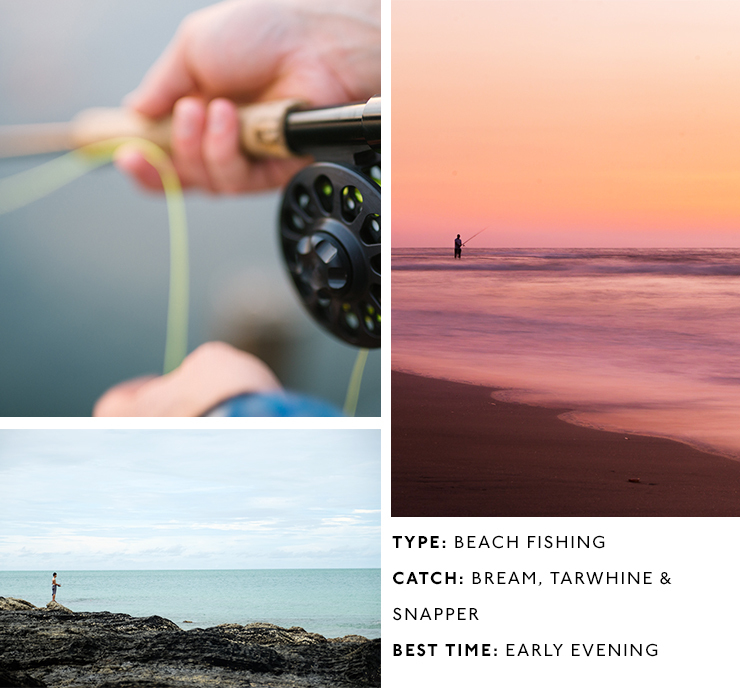 You’ll need a decent cast to get out past the snags along the shore but it’s worth it for the chance to catch kingfish, jewfish and even salmon. Want More? Check out 50 Awesome Outdoor Adventures To Have In Sydney.